Coding bootcamp Northcoders has opened a new site in Leeds city centre as it looks to help people wanting to change careers and get into the tech industry. Northcoders was established in Manchester in 2015, with its first course being launched one year later. 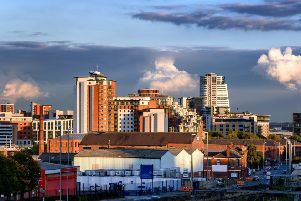 Chris Hill, founder of Northcoders, said: “As a business, we have wanted to open a base in Leeds for a while but the timing and location had to be right. The new set-up is located at the Platform building next to Leeds City Station. The main course being offered in Leeds is Northcoders’ 12-week, full-time flagship Coding Bootcamp programme, which has been tailored for people aiming to make a career change. The programme gets under way on February 25.